I was shopping the other day and spotted some really nice oyster and shitake mushrooms. 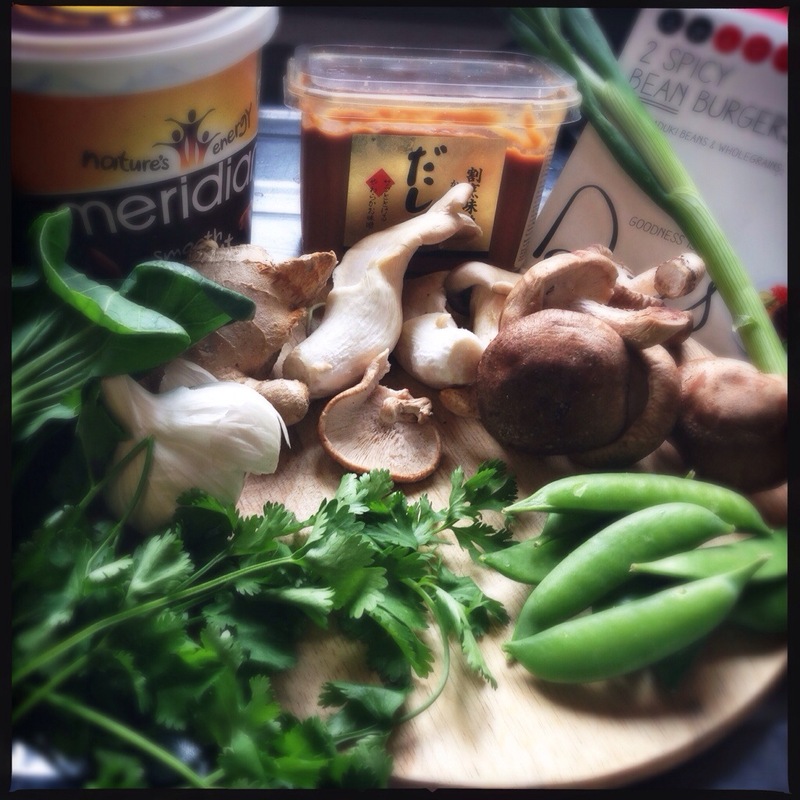 I was craving a tasty miso stir fry, so I bought a few extra bits and hey presto, this little gem was created! 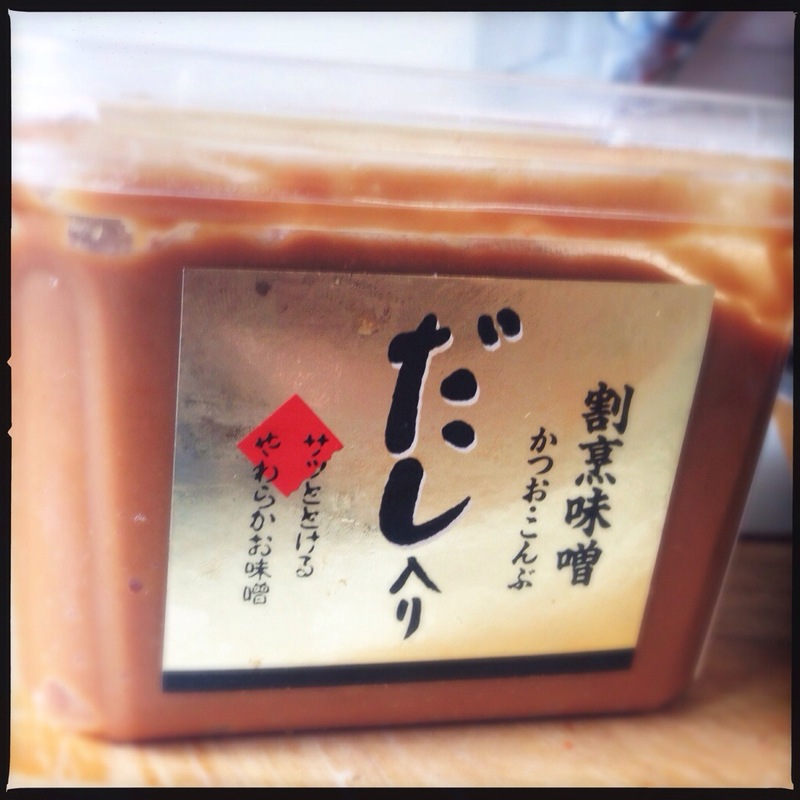 First make the miso sauce. 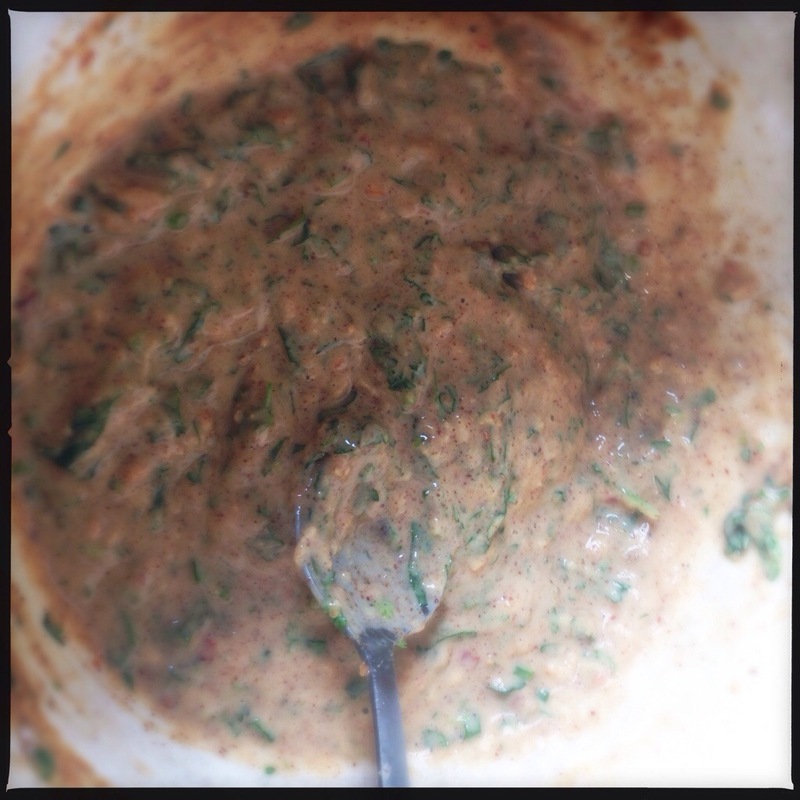 In a bowl add the miso paste, chilli paste, ginger, garlic, coriander, peanut butter and fresh coriander. Add in a little water if it’s too thick, or even some coconut milk if you prefer. Then leave it aside until needed. Cook the burgers as per the pack instructions and add a few spoons of the miso sauce on top and let them sit for two minutes off the heat. Cut them into large pieces and leave aside until assembly. 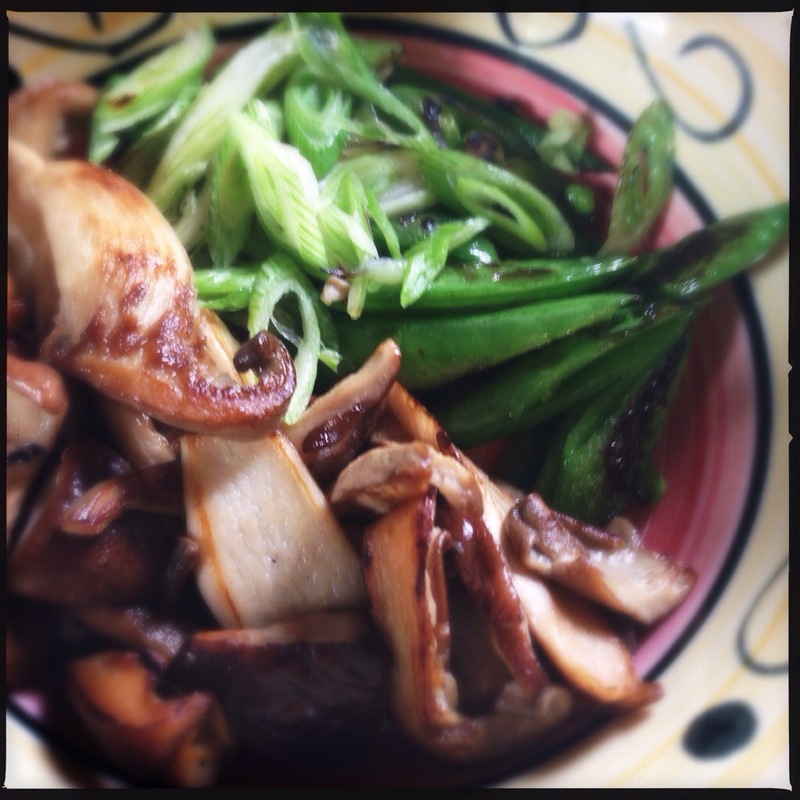 In a big wok cook, off your mushrooms and veggies until they’ve browned. Do this in small batches or even each item separately so you don’t overcrowd the pan. 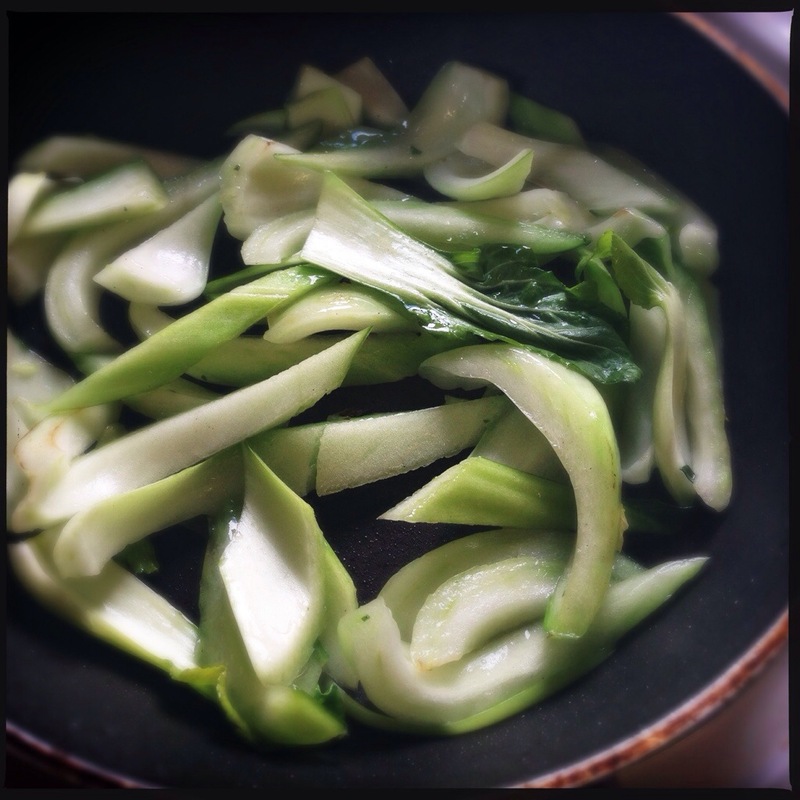 Add a few tablespoons of your sauce and cook for one minute more. 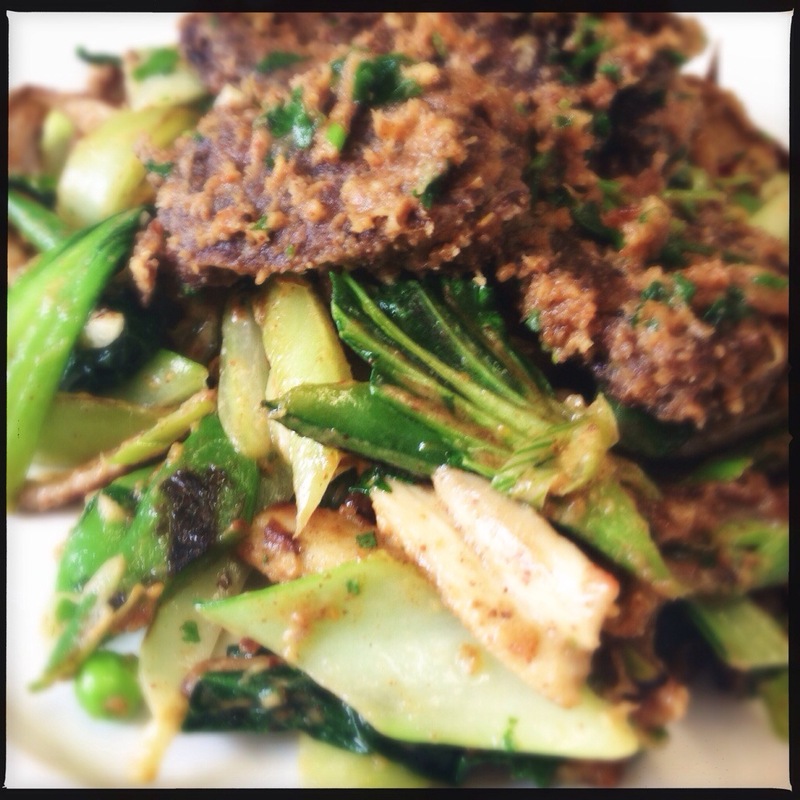 Place the pieces of burger on top of the veggies and serve with some salad or a portion of stir fried rice or noodles. ← Dee’s Spicy Bean Burger Mini Sliders for National Burger Day. Yum!